You know the saying “Christmas in July.” It’s used to explain the savings available in the month of July and it’s never been more true. IPG offers July savings to get you excited for the new school year. Supply your fans with more than just school supplies. 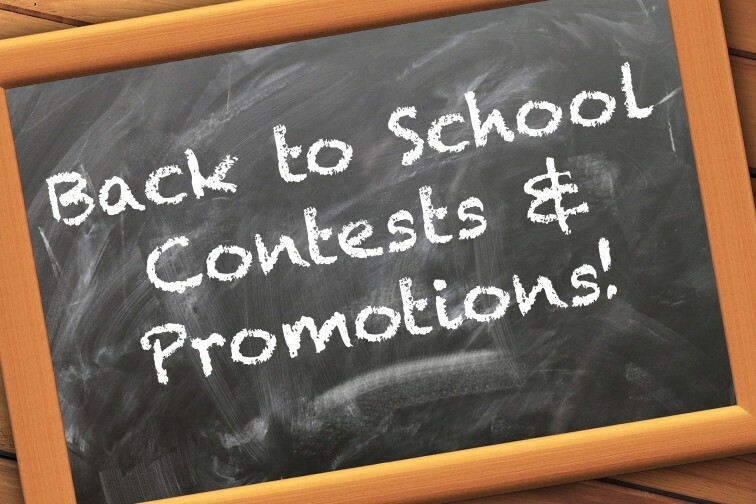 Supply them with contests and promotions that can be applied towards funding their education. Now this is something worth learning about. Read below to find the right promotion for your event! Making the grade has never been easier. We offer promotions that are in line with your fans or students education. More importantly, you both benefit from it. They win the prize and we cover the cost. It’s as easy as A, B, C.
Want to give people more of a reason to be excited for the start of school? If any finalist can roll ‘Straight A’s’ on 5-custom dice, they instantly win College Tuition or a $10,000 Back to School Shopping Spree. Don’t look now, but college football is coming. Do you think your team has what it takes to win big? Give your fans a chance to guess the correct score, and any winners might go home with some big time cash! Team up with your local sports team and park a truck in the end zone during their next game. Then select a lucky contestant from the stands to come down onto the field for the chance to punt for a pickup. If the ball lands in the truck bed they drive away in style! So this year leave the old school tactics behind and use our new and exciting promotions. Speak to one of our representatives to learn more at 888-882-5440 or email us at info@interactivepromotions.com.